Today we’d like to introduce you to Alison Marie Sullivan. Just a few years ago, as a new mom and a full-time high school science teacher, I was struggling with taking care of my body. Even though I was a certified personal trainer and knew what needed to be done, I was overwhelmed. I didn’t know how to make it work with my life. I came home from work exhausted and by the time I had my son to bed I just sank down into the couch for the rest of the night. I wasn’t exercising like I should and I wasn’t eating healthy. Meal plans overwhelmed me. I didn’t have the time or energy to follow complicated recipes. Then, I made it my New Year’s Resolution to make a change. I spent most of my winter break from teaching working on a plan: studying, designing, and trying out the most efficient workouts, simplifying healthy eating plans, and getting really excited to help myself and others! Finally, the idea came together in the shower one day (it turned into a really long shower) and Living Room Workout Club was born. Using the same principles I teach in my business, I regained the strong physique and healthy lifestyle I had been missing. Since then I’ve helped many other busy women do the same! I started with some YouTube videos filmed from my iPad in my Living Room and quickly grew a small following. After that school year, I decided to put teaching on hold and pursue this fitness thing more seriously. 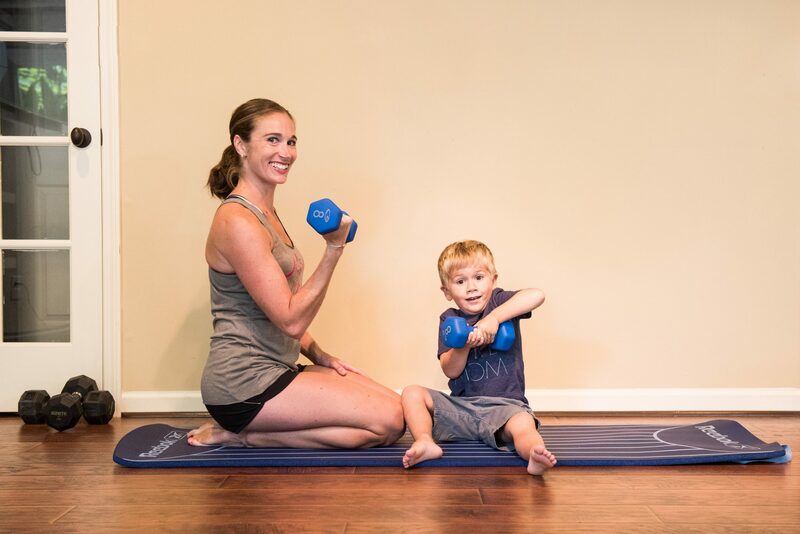 In the two years following, I started a series of Mommy and Me fitness classes (primarily stroller boot camps) around West Cobb and coached clients out of my studio in my basement. As time went on my business shifted toward online coaching. Most moms have difficulty finding the time to get out of the house for a workout. Getting out of the house to go to the gym or attend a fitness class just isn’t going to happen for some moms. It didn’t work for me while I was working full time! Convenient -Everything in my programs is designed to be done at home with little to no equipment. Cost Efficient: Online training is only a fraction of this price. That’s just one of the reasons I switched over to online training. I can offer significant transformation to moms who wouldn’t be able to afford it. I don’t think I’ve ever met a mom that wasn’t on a budget! Effective: My online programs are far more comprehensive than just a class or two a week, including efficient workouts for the whole week and a nutrition plan. It’s not just workouts and nutrition either, it’s a total lifestyle transformation. My clients not only see results, they will last! Now I offer a variety of online programs. More information can be found on my website www.livingroomworkoutclub.com. Living Room Workout Club – what should we know? What do you guys do best? What sets you apart from the competition? I help busy moms regain control over their bodies and lives by developing sustainable healthy habits surrounding nutrition and exercise. I developed Living Room Workout Club because I know how hard it is to balance family, home, and work while still finding time for yourself. 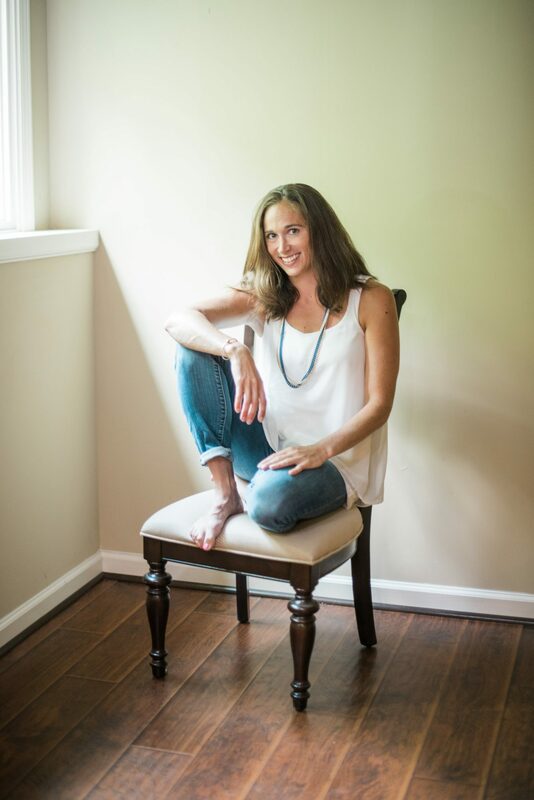 I made it my mission to find the most convenient, efficient, and effective methods to meet the challenges of motherhood and feel great doing it! I think what sets Living Room Workout Club apart for other fitness programs is my focus on making the results last for the long term. My programs are not just about fitness and nutrition. They also focus on the mind, finding your strengths and weaknesses, identifying your habits, and troubleshooting the whole process. We focus on creating a sustainable lifestyle! My success comes from my clients’ success. When moms finish my program and come out feeling like their lives have been changed, I know I did my job right!